Mario Bellini studied architecture at the Milan Polytechnic and taught at the Instituto Superiore di Disegno Industriale in Venice from 1962-65. 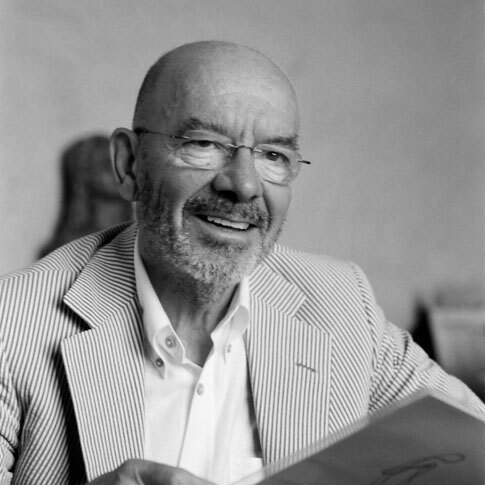 Until 1991 he worked as a design consultant for Olivetti and also designed independent products and furnishings. He established the architectural and design firm Studio Bellini in Milan in 1973. In 1987 the New York Museum of Modern Art honoured him with a retrospective exhibition of his works. He was an instructor at the Domus Academy in Milan from 1983-85, and editor in chief of Domus magazine between 1986-91. He assumed a position on the architectural faculty at the University of Genoa in 1995, and teaches seminars and workshops at universities and academic institutions around the world.